It will operate Saturday & Sunday’s along the North Shore for August & September. This Bus Service will support greater connectivity and linkages for the local population and tourists who wish to visit the area. 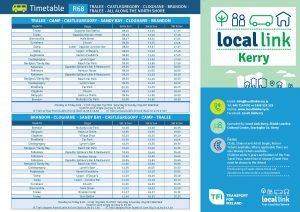 This service is timed to meet train arrivals and departures in Tralee. 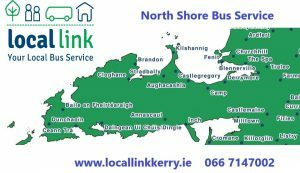 Local Link Kerry currently provide a very successful Bus Service from Brandon – Cloghane – Castlegregory – Camp – Derrymore – Tralee every Monday & Wednesday. 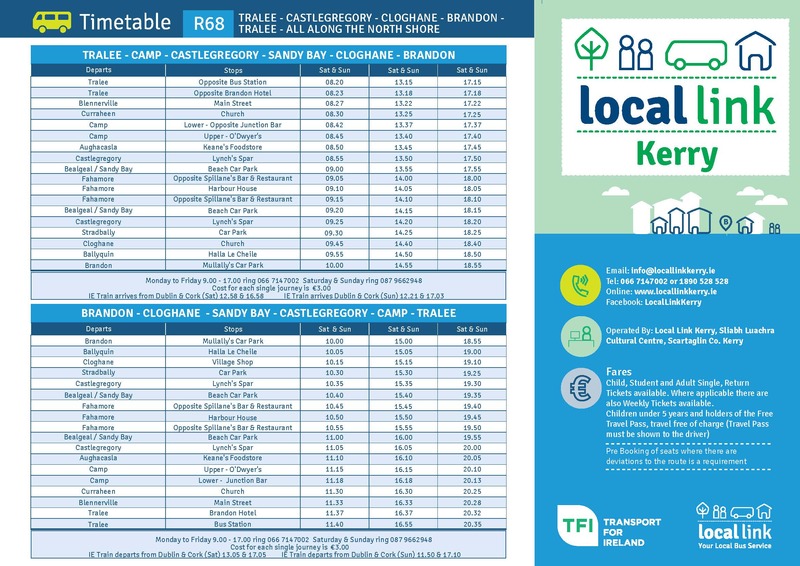 For Full Details of the Timetable and to book your seat please contact Local Link Kerry 066 7147002. This service is a pilot and it is hoped that if successful it will lead to increased transport provision for the area. 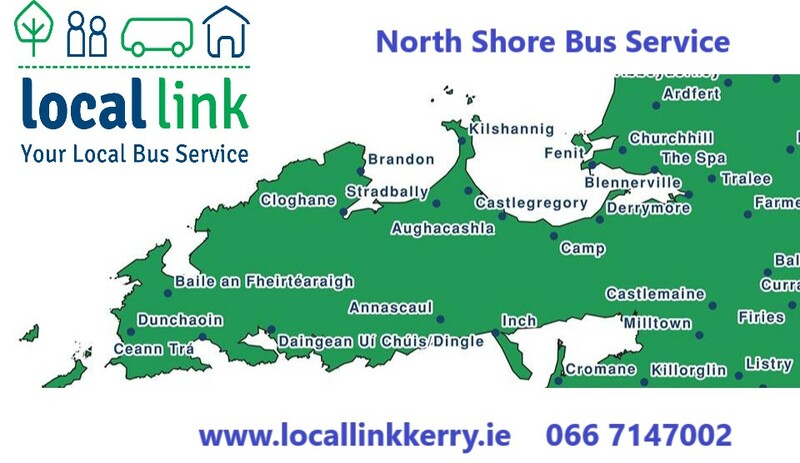 Local Link Kerry also manage and co-ordinate the delivery of Transport Services along the Dingle Peninsula in Aughascla, Ballyferritter, Brandon, Castlegregory, Camp, Cloghane, Derrymore, Dingle, Dunchaoin, Stradbally, Ventry.